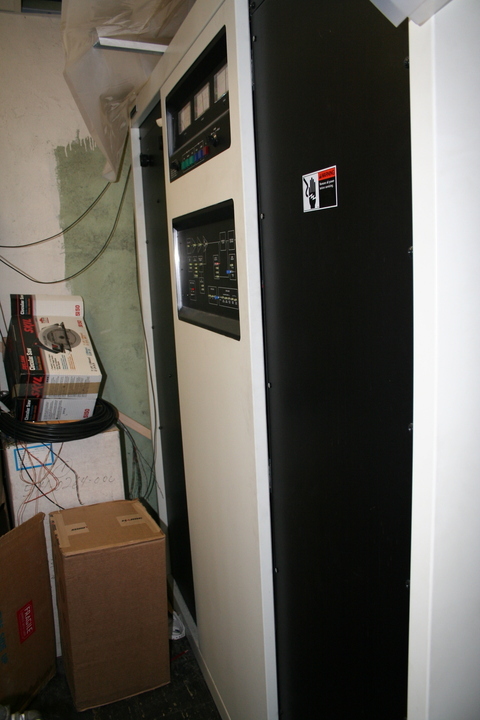 WRCA's transmitter (Harris DX-10, serial number MPS102698-00002, built 1989-08-03) is crammed into a very small room next to WCRB's tech center. The backup is an old Gates MW-5. WRCA's phasor was also made by Harris.